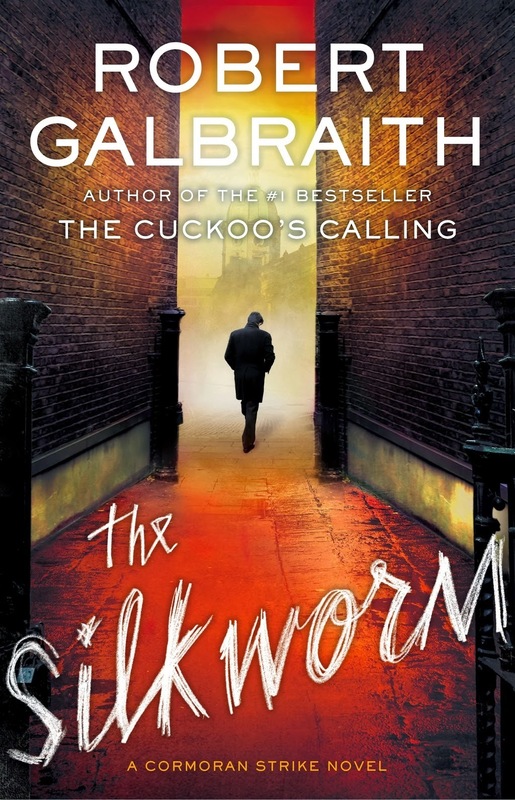 This is the second detective/crime novel to feature Cormoran Strike as the protagonist, and is written by Robert Galbraith/J. K. Rowling. First of all, I love detective fiction. Poirot, Marple, Rebus, Agatha Raisin, Charlie Parker, Evadne Mount - I have burned my way through the lot (near enough). Detective fiction can be, and usually is, relatively formulaic, but I often find this comforting. I also rarely guess the killer/bad guy as I just allow myself to enjoy the ride for what it is, and these Cormoran Strike novels are no exception. For me, there is something about the way J. K. Rowling writes, whether it be for children or adults, that is so personal. I have read all of her books and every single character, big or small, has depth and realism. I feel like she cares about her characters as if they were real people, with stories to tell that we just don't get to hear about in the short novel. This quality cannot be taught or faked and I think it is a rare thing indeed. It is for both of these reasons that I was super supremo excited about this book being released. I genuinely thought we would not be getting a second Cormoran Strike novel, as J. K. Rowling obviously writes only for fun nowadays, what with her being a billionaire and such. She must like the characters as much as me. You cant buy good taste! The first novel ended with Cormoran gaining notoriety after solving a murder case involving a celebrity, and the start of a professional partnership with his new assistant, Robin. As with the Harry Potter books, I already felt great affection for the main character after only one book and was desperate for more. I love the partnership almost as much as I love Poirot and Hastings (the Hastings-less books suffer for his absence). This second novel begins with Robin still working for Cormoran, and still taking an active interest in being a detective herself, as business increases greatly following their success. Predictably (but wonderfully) a new huge case arrives on their doorstep that the incompetent police are overlooking, and a thrilling, dangerous time is had by all. Obviously we know the detective will win in the end, and that neither Robin nor Cormoran will actually die, however close it may get. These are the marks of a good old fashioned detective series, and the cast of eccentric characters, each with their own motives, makes a great whodunit. The story is complex enough that we I didn't guess the outcome, but conventional enough to cover the same ground as any classic whodunit with great gusto. The book is also beautifully written with warmth and richness, which is what really sets it apart and put it in the same league as Poirot for me. J. K. Rowling has been criticised for being overly descriptive, which is deemed not necessary outside the fantastical world of Harry Potter, however I like this in her writing. I find the descriptive nature of her writing evocative and warm, and we don't all live in London so maybe is more necessary that the media types give it credit for. I must mention the fact that, despite the twists and turns, red herrings and general unpredictability of the narrative, J .K. Rowling does give herself away by her obvious bias, which is seen in every one of her books. She writes with unashamed bias, you can really tell as you read every one of her books who she favours as a person and her personal views seep from the pages. For example; working class people are usually honest and morally good despite there intellectual/academic/financial failings (the Weasley's in Harry Potter, Leonora and Pippa in this book/Jonah in 'The Cuckoo's Calling' and Krystal in 'The Casual Vacancy') and the middle classes and usually selfish twits (the Malfoy's in Harry Potter, Elizabeth/Michael in this book, John Bristow/Tony Landry in 'The Cuckoo's Calling and the Mollison's/Fairbrother's in 'The Casual Vacancy'). This bias doesn't bother me at all as I like to see a piece of the author within the books they write (and favouring the working class over the middle class is an admirable thing in many ways, and I cant help but agree in most cases), but you cant ignore the fact that the bias is there and may make future books more predictable unless overcome. Read this book of: you are a fan of any other works by J. K. Rowling/you are a fan of a good old fashioned whodunit/you want the the thrill of the crime genre but with the warmth of an old favourite/you like to feel satisfied at the end of a good book/you have been left cold by recent reads and need a pick-me-up/you have trouble finishing books or have got stuck staring multiple books at the same time.